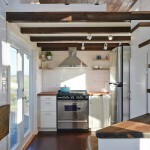 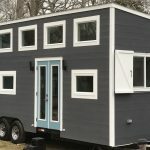 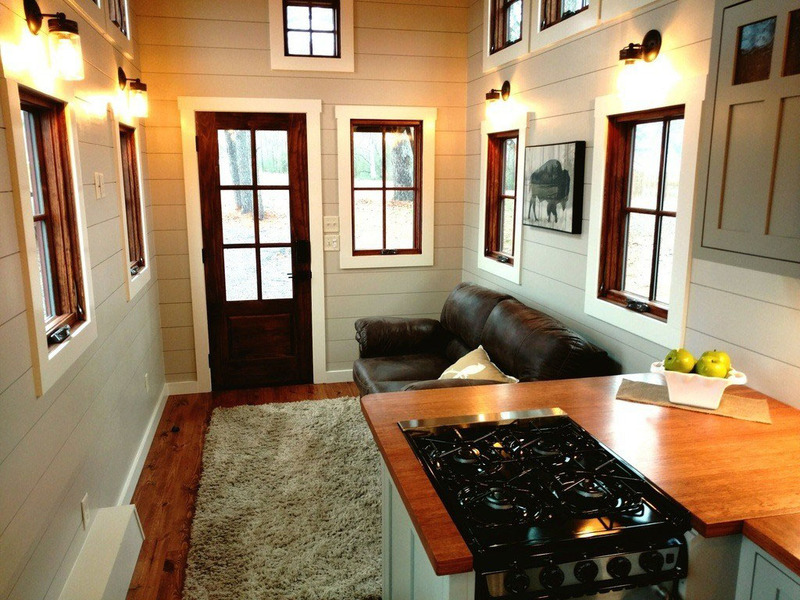 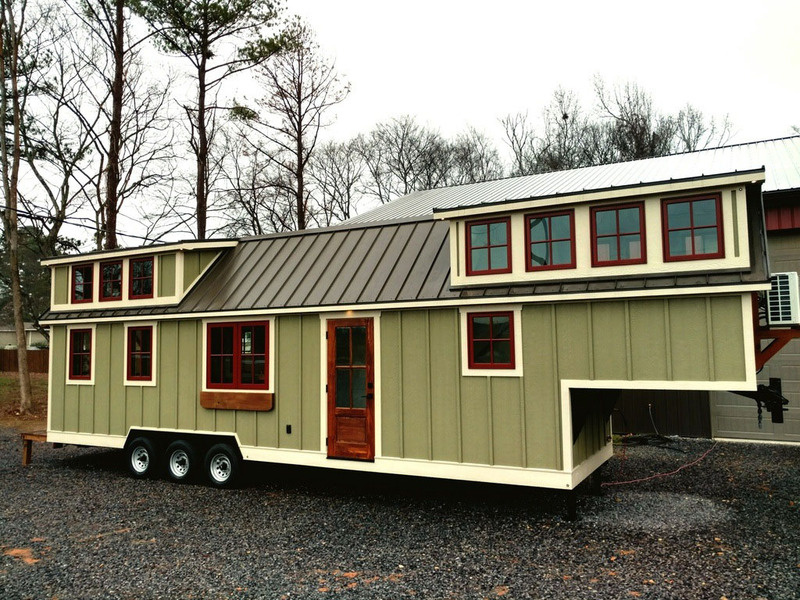 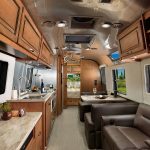 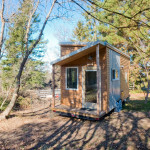 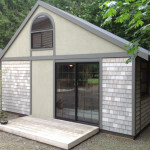 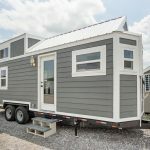 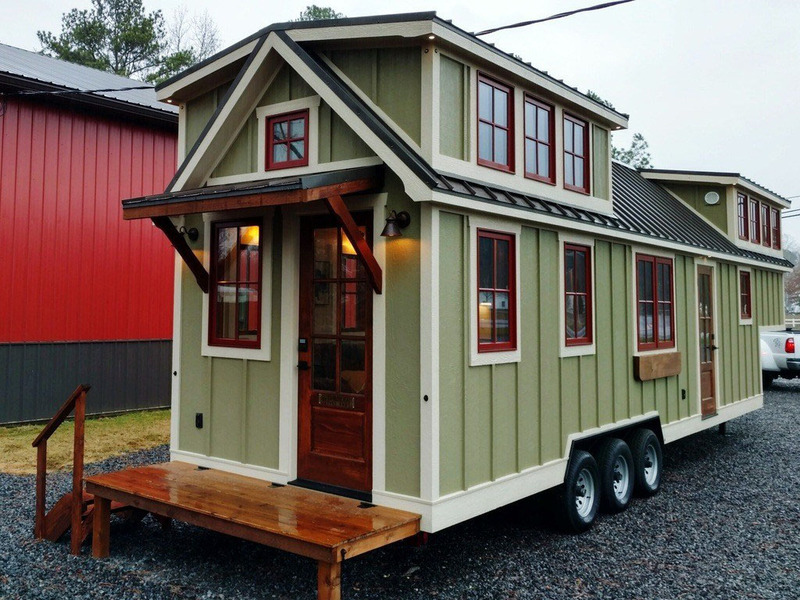 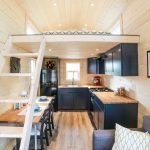 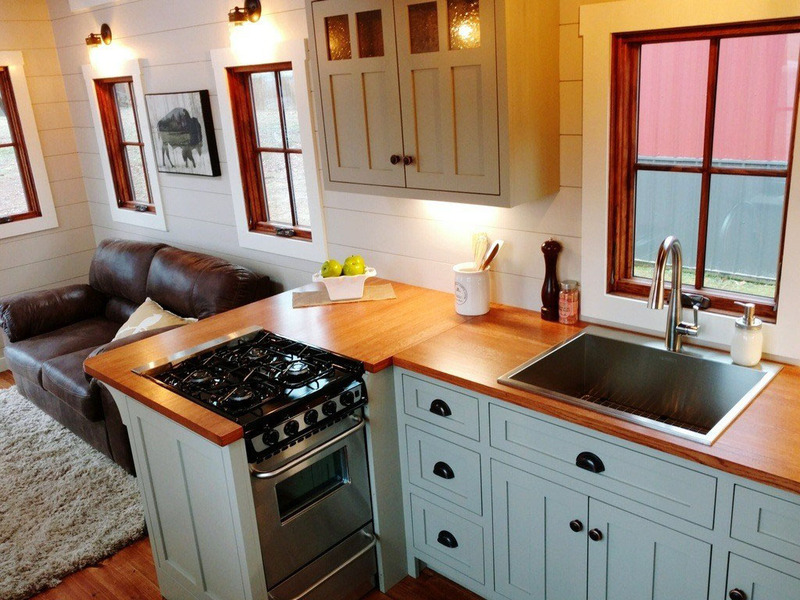 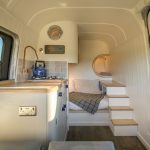 Timbercraft Mobile tiny house is a 352 sq. 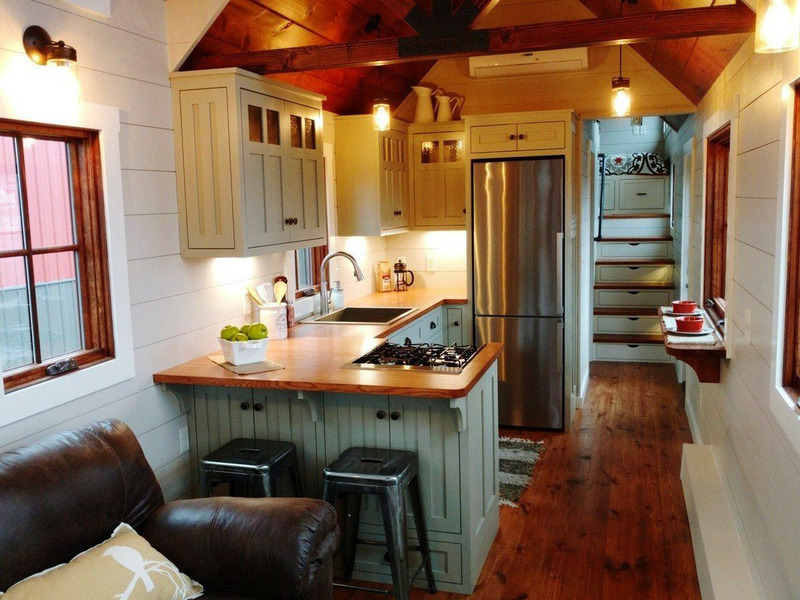 ft.,1 bedroom, 1 bathroom rustic farmhouse style mobile home. 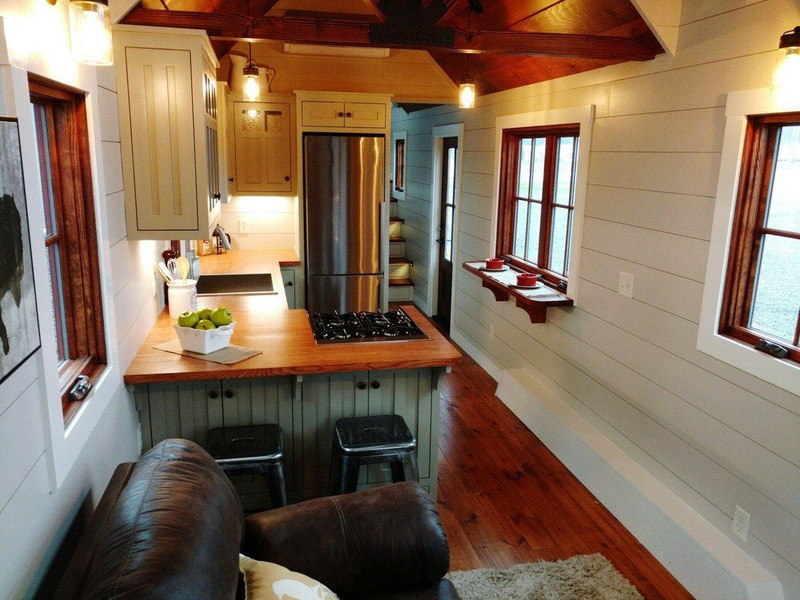 The living room has 11 foot ceilings and the spacious kitchen with timber frame beams add character to the small home. 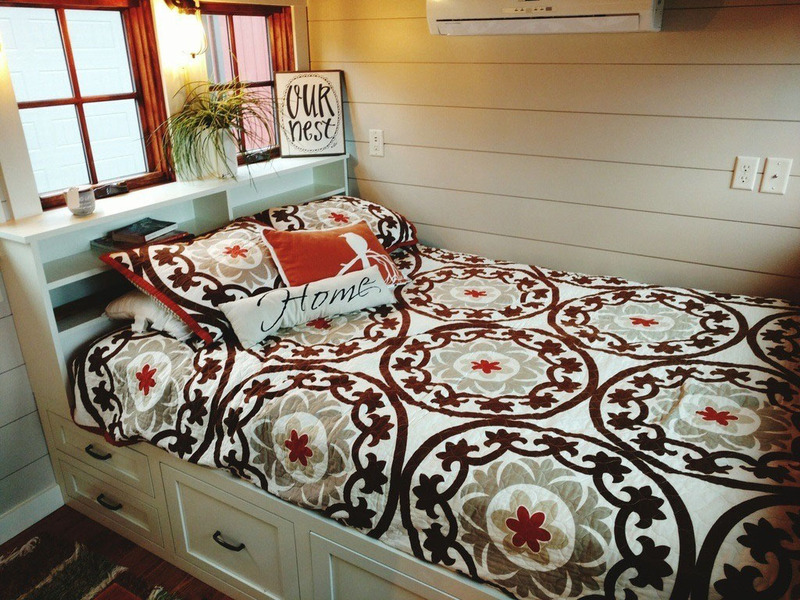 The stairs leading to the bedroom loft are filled with storage drawers and the bedroom has more storage. 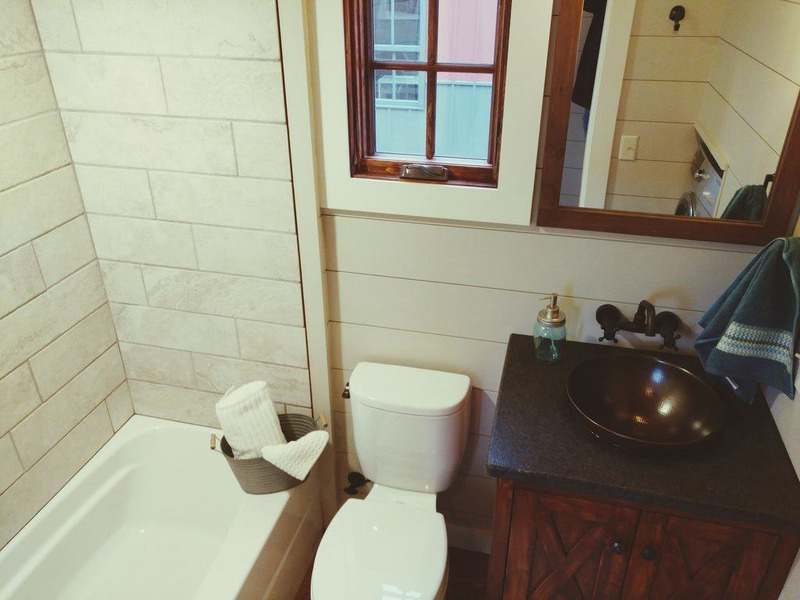 The bathroom includes a bathtub with tile shower and a washer dryer combo unit.